Intellectual property law is com­plicated. It protects legal rights associated with intangible and never-before-seen items. The IP field is full of jargon and contradic­tions, has few bright-line rules, and is studded with “I-know-it-when- I-see-it” tests and standards. It is little wonder, therefore, that many general practitioners throw up their hands when it comes to their clients’ IP issues, and either ig­nore these issues outright or refer the clients out to high-cost specialists. However, a generalist can take many precautions to nurture and protect her client’s IP hold­ings, particularly its trade secrets. Although all forms of intellectual proper­ty can lose value when they are not properly looked after, no category of IP can lose its value as quickly as material that—with just a bit of attention from a business lawyer— can qualify for state and federal trade secret protection. Because careless and vindictive employees are often the guilty parties in trade secret misappropriation cases, atten­tion to the agreements and policies that gov­ern employees behavior is especially useful. What is a trade secret and why should you care? A trade secret is information that derives value from the fact that it is not commonly known. Put differently, a trade secret can be any kind of valued information that you do not want a competitor to see. Common examples include plans, procedures, for­mulas, and manufacturing techniques. Even more mundane material like finan­cial data, customer lists, and marketing strategies can qualify under the right circumstances. It is important to note that a trade secret need not be patentable or es­pecially innovative. Rather, the trade secret just needs to be secret and valuable. You should care about protecting your trade secrets for a few reasons. First, if competitors learn about your trade secrets due to your employees’ carelessness, or if a former employee tries to use your trade secrets to unfairly compete with you, you will want to have the capability to block the bad actors from using your secrets and/or require the bad actors to compensate you if they have already used your secrets. Sec­ond, the Defend Trade Secrets Act of 2016 created a new federal cause of action for trade secret misappropriation which offers a robust set of remedies. 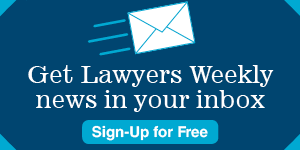 These remedies in­clude the ability to obtain attorneys’ fees if an employee’s misappropriation is willful or malicious—but only if certain magic words regarding whistle-blower protec­tion appear in the bad actor’s employ­ment agreement with the company. Step 1: Identify and track it. Identify each valuable piece of busi­ness information. Certain pieces of in­formation such as secret recipes and proprietary procedures will make the list, but consider other kinds of information as well. The information need not be flashy to qualify as sensitive. Determine which valuable information is secret, and extent of the information’s secrecy. The secrecy continuum is broad. It can extend from information known to third parties but covered under a nondis­closure agreement, to information known only to company employees, to true secrets known only to a select few individuals within the company. The more secret the information is, the more likely it can be protected under trade secret laws. Make a portfolio of your trade secrets. First, de­scribe each trade secret with particularity. Each description must provide sufficient detail to allow a court to understand the nature of the secret. Second, develop and maintain an effective portfolio manage­ment system in which you provide evi­dence of the steps the company took to track and protect each trade secret. Make sure applicable employees know about and understand this system. Step 2: Actually protect it. There are many ways to protect a trade secret. At a minimum, all employees should sign an agreement that requires them to maintain the integrity and confidentiality of the company’s trade secrets. The agreement should include DT­SA’s “whistle-blower” language, which will give the company access to the full range of damages available under the new federal law. Companies should also limit physical and electronic access to trade secrets to the maximum extent possible. This includes requiring passwords or administrator ap­proval for employees to gain access. Some proprietary information can be labeled with legends identifying it as trade secret materi­al and directing how the information must be treated. Whenever trade secret information leaves the company—whether in a briefcase, in a recycling bag, or in an e-mail—employees should treat the information in such a way as to ensure it cannot be accessed by un­authorized third parties. Whether you use password protection for a document, a lock on a suitcase, or a shredder for unnecessary copies, it is a good idea to establish and fol­low a protocol for how trade secrets must be handled in various media platforms. Finally, pursue and punish employees who mishandle or misappropriate trade secrets. In this field of law, silence usually equates to consent. Therefore, if you do not object to disclosure of protected information, one may presume that you do not consider such information covered by trade secret protection. The two steps discussed—identify and protect—are easy to perform and can add significant value to your client. The threat of a federal trade secret claim, especially when attorneys’ fees are available, can be an effective means to enforce non-compete and non-solicit clauses. Such claims can also enhance tortious interference and breach of fiduciary duty cases against former execu­tives and equity holders. You can use this approach in a preventative way to tighten up business operations by stratifying access to information among employees and de­creasing the likelihood of an intentional or accidental data breach. While the complexities of intellectual property often require expert assistance, the basic one-two punch of identifying and pro­tecting clients’ trade secrets can and should be on every business lawyer’s to-do list. is special counsel and patent attorney at Berenzweig Leonard, where he specializes in cybersecurity and the protection and enforcement of software-related inventions. Clyde’s software spe­cialty is a natural evolution of a 20-year first career as a software developer. Many of his early years also included executive positions in upper management as well as ownership of two small software engineering companies. From that broad base of engineering and business experience, Clyde provides counseling and advice on a variety of technical and business issues. He drafts and prosecutes patent applications, represents clients in IP litigation, and advises clients on all aspects of cybersecurity. He can be reached at cfindley@berenzweiglaw.com or (703) 760-0402.
is an associate attorney at Ber­enzweig Leonard, and is a lead contact for the firm’s intellectual property practice. Ryen was honored with the ABA-BNA Award for Excellence in the Study of Intellectual Property Law, is Chair of the Fairfax Bar Association’s Business Law Section, and sits on the Executive Committee of the George Mason American Inn of Court. He focuses on resolution of disputes and counseling in the fields of IP, corporate, employment, and entertainment law. His typical clients include small to midsized businesses, software developers, C-level executives, and creative professionals in the entertain­ment industry. Ryen also volunteers time with Washington Area Lawyers for the Arts, The Network for Teaching Entrepreneurship, and a number of other charities focusing on positive youth development. He can be reached at rrasmus@berenz­weiglaw.com or (703) 760-0402.